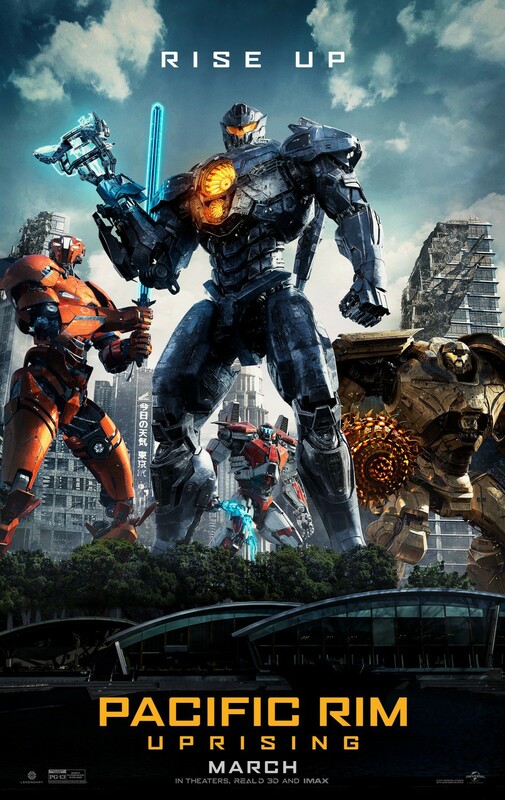 I could feel my brain have convulsions while watching Pacific Rim: Uprising (2018) | Tales From The Ipe! The last film I watched on the plane ride home from London was Pacific Rim: Uprising. Back in 2013, I enjoyed the original film a bunch. The science didn’t entirely make sense, but it was brought up minimally and I did my best to ignore how they could communicate so clearly from the bottom of the ocean, or how people in the “Shatterdome” could miraculously see events transpire clearly while out of eyesight. We had giant robots fighting giant alien monsters. It was me on Saturday afternoons watching Godzilla movies all over again. I had planned to watch Pacific Rim: Uprising in the theaters, but I began to hear some rumbling about the quality of the plot. As always, I held off on judging. When the first reviews came out, they weren’t exactly glowing. I finally had the time to sit comfortably and watch the sequel this month, and no, I didn’t like it much all all. Uprising takes place 10 years after the Battle of the Breach (the climax of the orginal film.) It’s now the year 2035,and there haven’t been any kaiju attacks. The mysterious alien precursors from another dimension (universe?) are still out there, plotting to take over and terraform our planet. You know they will soon send o out more giant monsters to conquer our world. Humans are stupid, but were smart enough to continue the Yaeger program. Humanity maintains many bases around the Pacific Rim with new Mark VI Yaegers. Gipsy Danger even has a follow-up model called Gipsy Avenger. In fact, there are many new Yaegers out there. The police have them and use them to apprehend rogue Yaegers being built and used by amateurs. We soon get introduced to a 15 year old girl who build her own working Jaeger. Uh, what? Shes a 15 year old whiz kid who built her own giant robot? We’re officially in fantasy land. That’s it from me. I’m not describing this film any more. More things happen, they’re all various shades of unbelievable. How about when a rogue full-sized Jaeger shows up and attacks Sydney? They called it Obsidian Fury. Really? You immediately had to give it a “cool name”? Or let the 15 year old teenager with no experience into the Yaeger pilot program? At many points while watching this film, I thought a teenager wrote it.